Take advantage of recreational opportunities offered, including an indoor pool, a spa tub, and a fitness center. This hotel also features complimentary wireless Internet access, a television in a common area, and discounted use of a nearby fitness facility. Located in Concord, Comfort Inn Concord is a 4-minute drive from Capitol Center for the Arts and 6 minutes from New Hampshire State House. 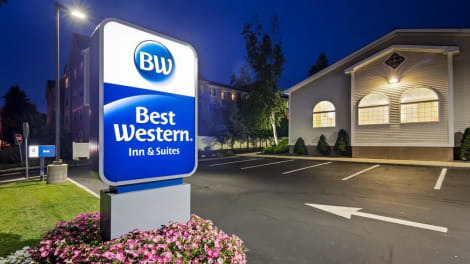 This hotel is 16.3 mi (26.3 km) from Southern New Hampshire University and 3 mi (4.9 km) from Walker-Woodman House. Grab a bite from the snack bar/deli serving guests of Fairfield Inn By Marriott Concord. A complimentary continental breakfast is included. Enjoy local and international cuisine at Granite, a restaurant which features a bar, or stay in and take advantage of the room service (during limited hours). Full breakfasts are available daily from 7 AM to 10 AM for a fee. lastminute.com has a fantastic range of hotels in Concord, with everything from cheap hotels to luxurious five star accommodation available. We like to live up to our last minute name so remember you can book any one of our excellent Concord hotels up until midnight and stay the same night.